One thing we work so hard on in Pre-K and Kindergarten, and one thing that we LOVE to learn about is the alphabet! Letters are all around us: in our names, our friends’ names, on signs – everywhere! We spend a lot of time learning the names of the letters in the alphabet, and we certainly want that time spent to be hands-on, engaging, and most of all – fun! 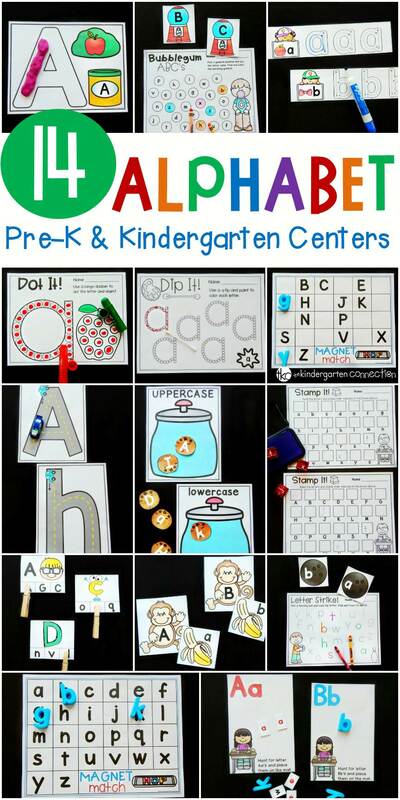 These 14 print and play alphabet activities and centers are perfect for Pre-K and Kindergarten classrooms to explore letters! Grab the alphabet activities in our Teachers Pay Teachers store, or snag the HUGE Print and Play Centers Bundle to have skills-based centers planned for you all year long. This pack is filled with activities that are ready to be used anytime of year. That’s right – since they don’t follow a specific theme or season, you can pull them out anytime you want! Use them for literacy centers, small groups, independent work – you name it! Plus, with many of the activities containing options for both Pre-K and Kindergarten, it makes it perfect to find just what you need for your learners. 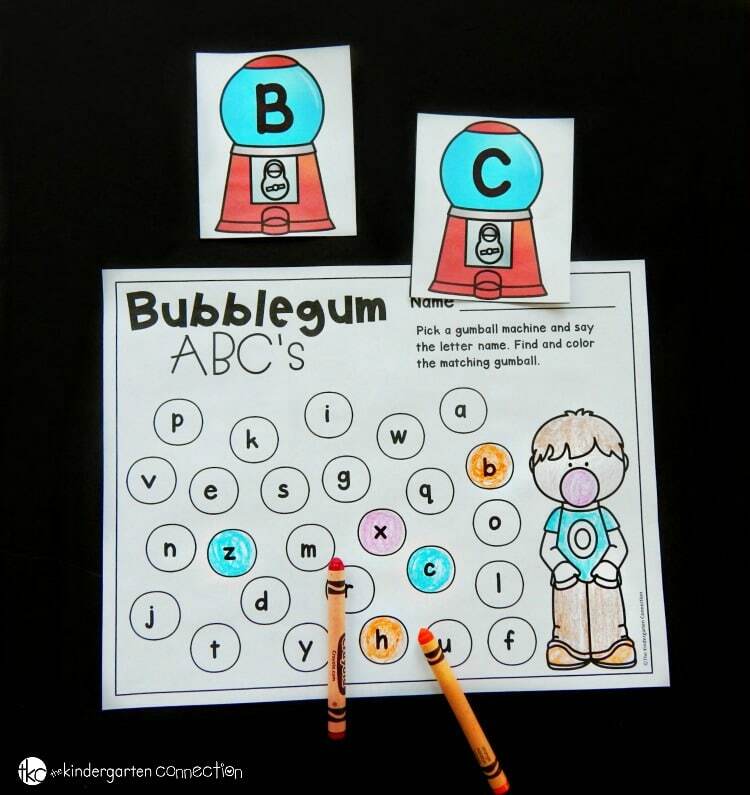 Here’s a quick look at just some of our favorite alphabet activities! 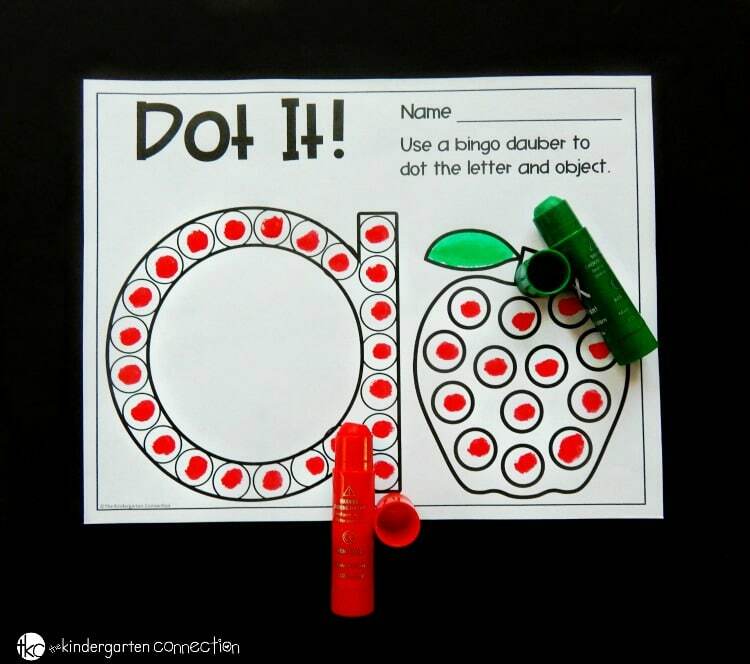 You can use bingo dotters or stickers too – these pages are great for building up fine motor skills and letter recognition at the same time. 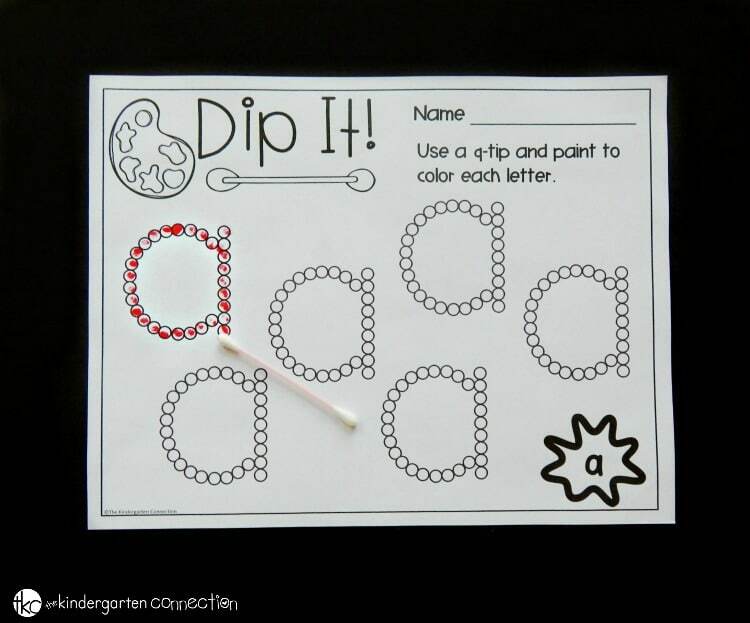 Then we grabbed our q-tips and paint for more fine motor ABC work with our “dip it!” pages. All of the alphabet activities come in both upper and lowercase, so you can choose which to work on. One of the kids’ absolute favorites are of course the road racers! Grab a toy car, and then “race” up and down the letters! The car on each letter tells kids where to begin, helping them with formation. Pick a gumball machine, then find and color its matching gumball! You can choose to print upper or lowercase machines, that way you can decide how your students are matching up letters. 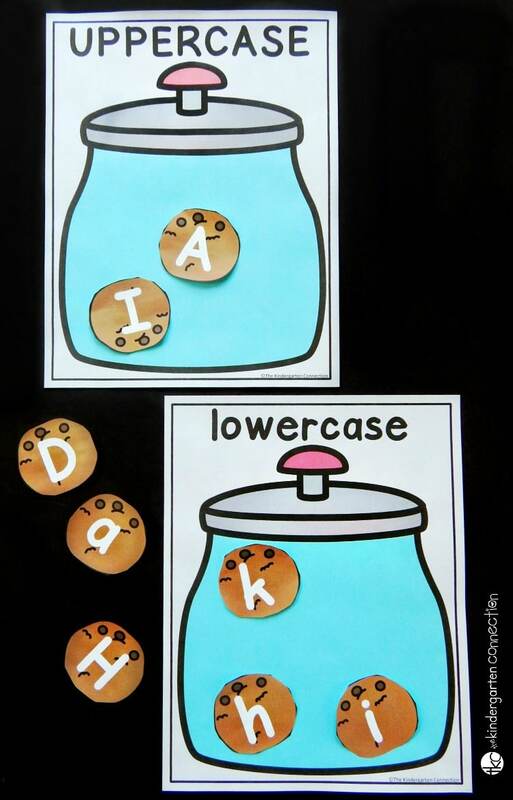 Sort letters by upper or lowercase with this “tasty” activity that will have you wanting cookies too! Plus, each printable comes in black and white as well, in case you don’t want to use up colored ink! 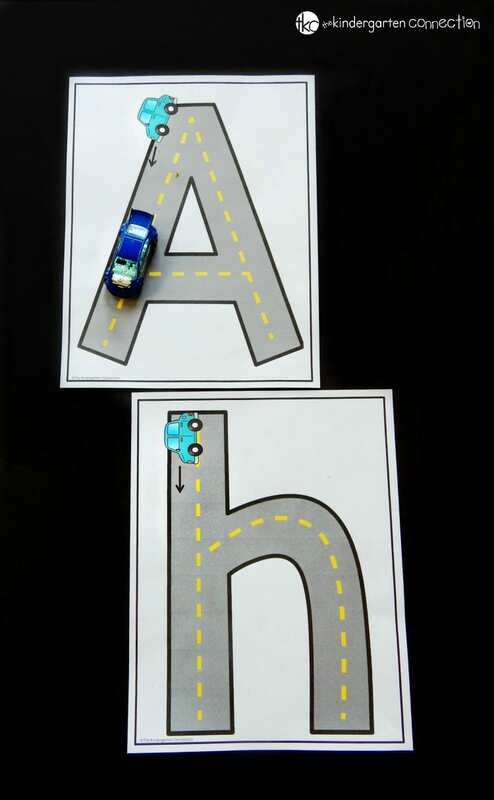 Your kids will have a blast learning letters with these alphabet activities! Ready for tons of alphabet fun? 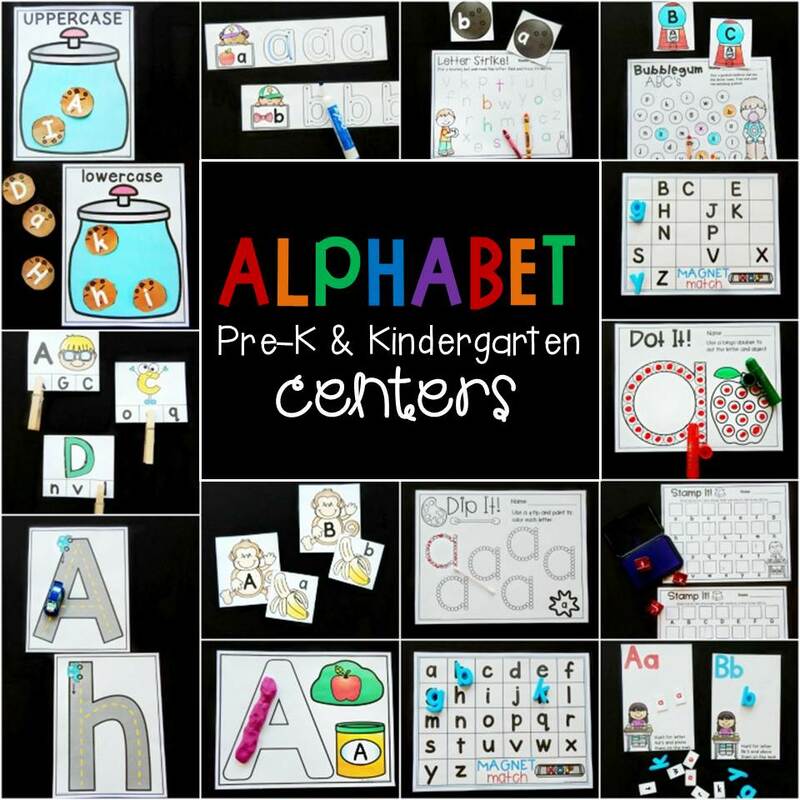 Grab your pack of Alphabet Centers in our Teachers Pay Teachers store, or snag the HUGE Print and Play Centers Bundle to save BIG! Hi Laura, You can find all of our FREE printables here–>> https://thekindergartenconnection.com/free-printables/ Enjoy! Hi there…. I love the hole punch letter matching idea but it doesn’t seem to be an option in the bundle. Is it discontinued?